After months of speculations about the cast of 'Harry Potter and the Philosopher's Stone' ("Sorcerer's" for the Americans), we finally know the names of the trio who will be playing Harry, Ron and Hermione. 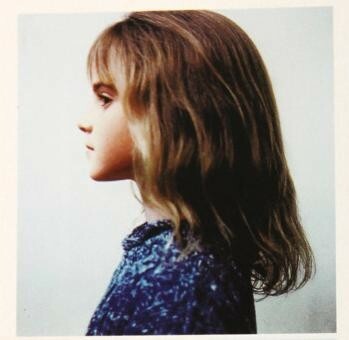 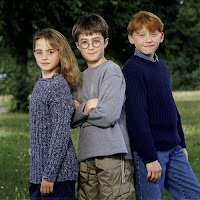 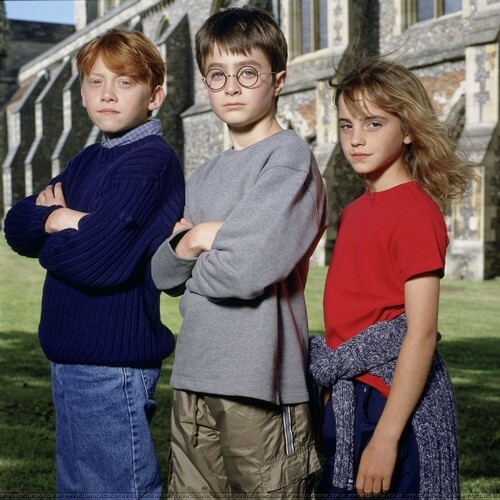 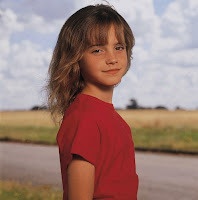 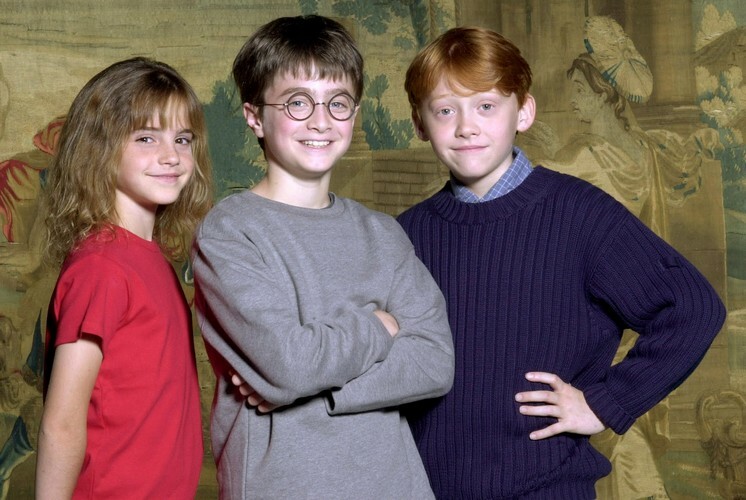 The media obviously focused on Daniel Radcliffe (Harry Potter) so all we know about Emma (and Rupert Grint, playing Ron Weasley) is that she is "a newcomer who has only performed in school plays"
For the occasion, the trio got their very first photoshoot all together, photographed by Terry O'Neill. Lorenzo di Bonaventura, the president of worldwide theatrical production at Warner Brothers: "We searched through all the Muggle and Wizard households just to find the right young people to find Harry, Ron and Hermione and we have found them in Dan, Rupert and Emma." 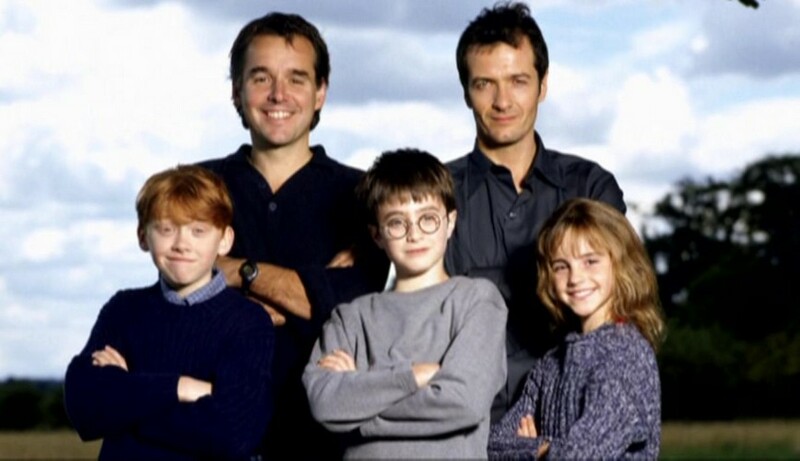 Chris Columbus, the director of the movie: "The process was intense and there were times when we felt we would never find an individual who embodied the complex spirit and depth of Harry Potter. 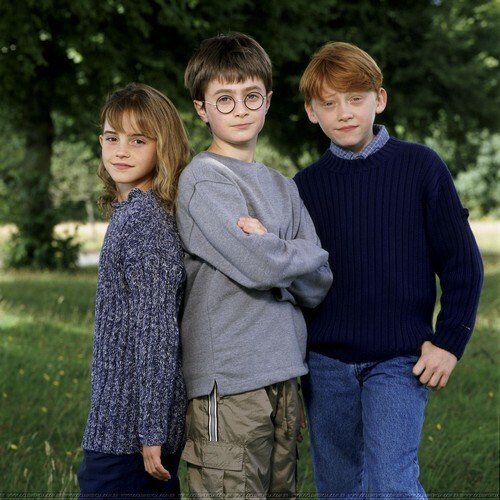 Then, Dan walked into the room and we all knew we had found Harry. 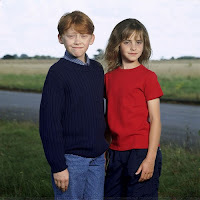 We were equally elated upon meeting Emma and Rupert who are perfect for the roles of Hermione and Ron. I couldn’t be happier to begin work with such talented, inspiring young actors." 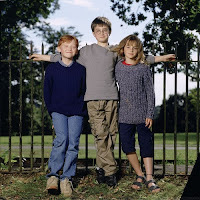 J.K. Rowling: "Having seen Dan Radcliffe's screen test, I don’t think Chris Columbus could have found a better Harry. 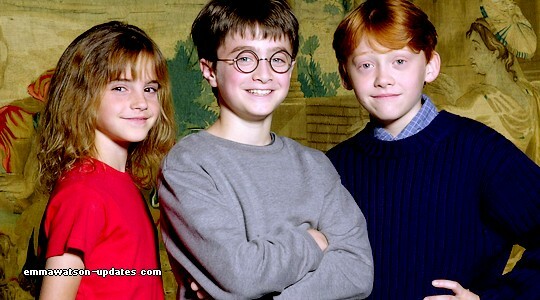 I wish Dan, Emma and Rupert the very best of luck and hope that they have as much fun acting the first year at Hogwarts as I had writing it." 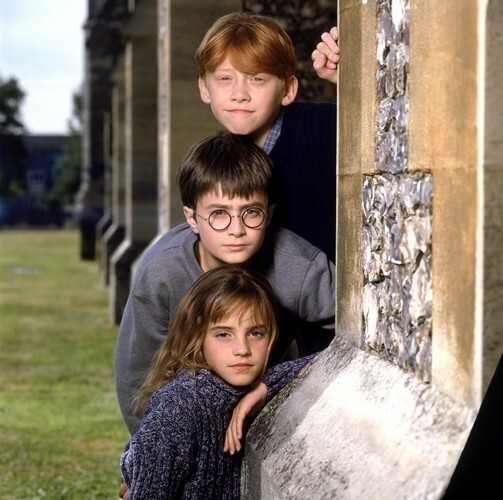 David Heyman, one the producer of the movie: "These are tremendously talented British kids who will bring so much to the film"